Nestled in the gardens, this cabin offers a calm tranquility. 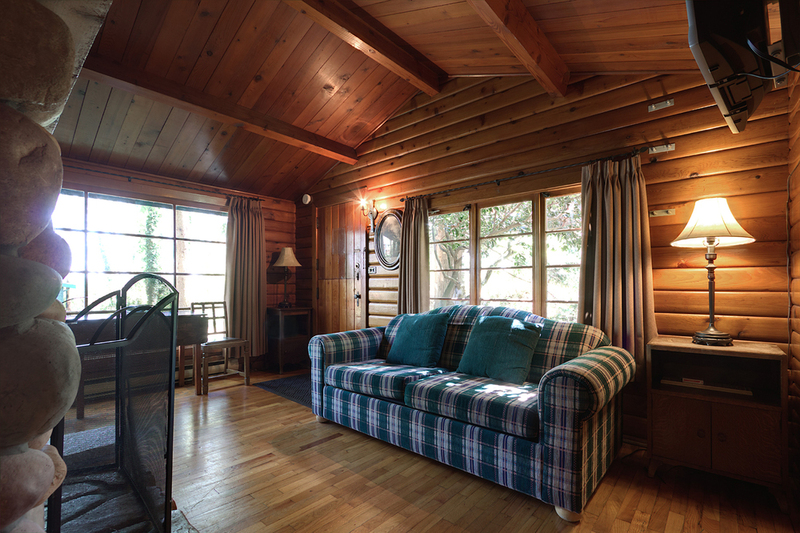 This cozy cabin has a queen and twin bed, one bathroom and features the most beautiful river rock fireplace on the property with an evenings supply of firewood included. 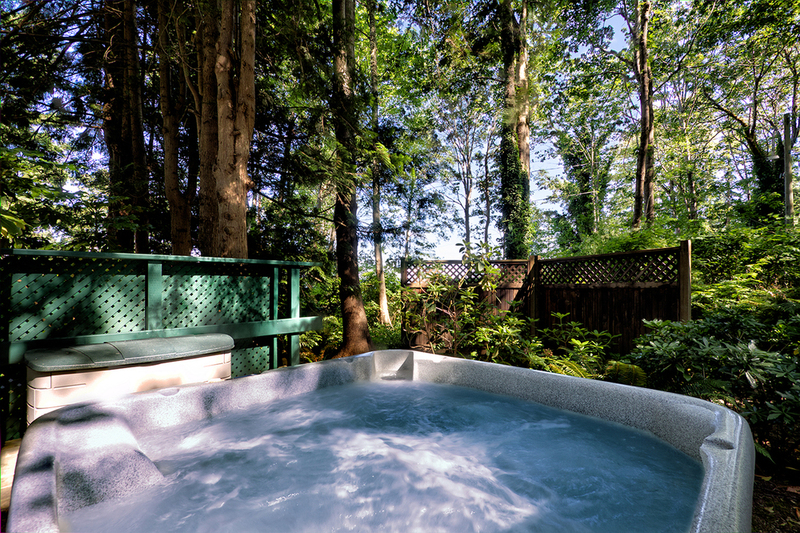 This garden view cabin has a fully equipped kitchen supplied with fair trade coffee and teas, sofa bed, flat screen cable tv, hot tub and private deck surrounded by majestic firs and lush greens. Bask in the warmth of the most beautiful river rock fireplace at Dolphins Resort.